Home > Board > John Vankat, Ph.D.
John Vankat earned an A.B. in biology from Carleton College and M.A. and Ph.D. degrees in botany from the University of California, Davis. 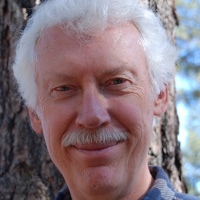 He taught and researched plant ecology at Miami University for 31 years, before moving to Flagstaff, Arizona, where he continued research as a special projects ecologist with Grand Canyon National Park followed by senior research ecologist at Northern Arizona University. John has published in such journals as Conservation Biology, Ecology, Forest Ecology and Management, Journal of Vegetation Science, Ecological Modelling, and Landscape Ecology. Past professional activities included helping to start and later chairing the Vegetation Section of the Ecological Society of America and the North American Section of the International Association for Vegetation Science. John served on the CBI Board from 2006 to 2016.